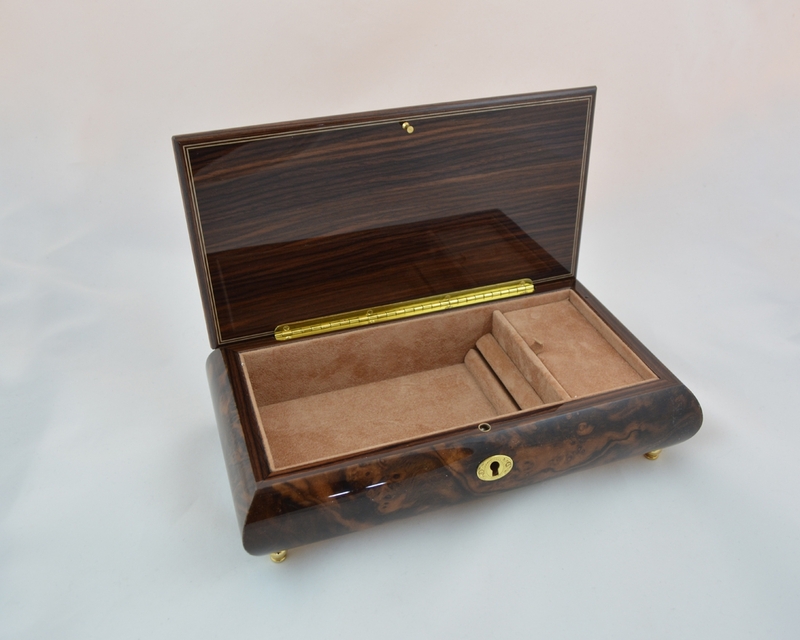 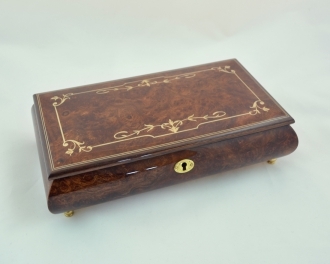 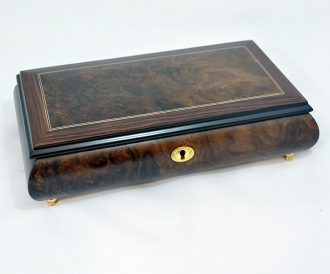 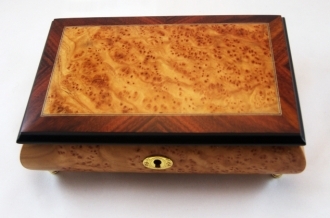 This brown hued Sorrento music box is a marvelous example of the burl wood beauty. 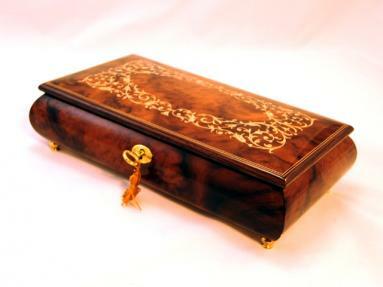 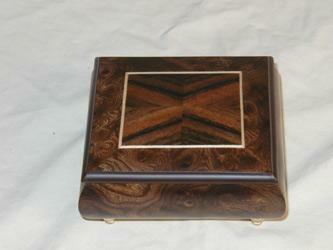 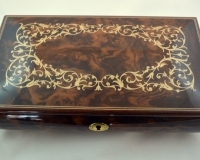 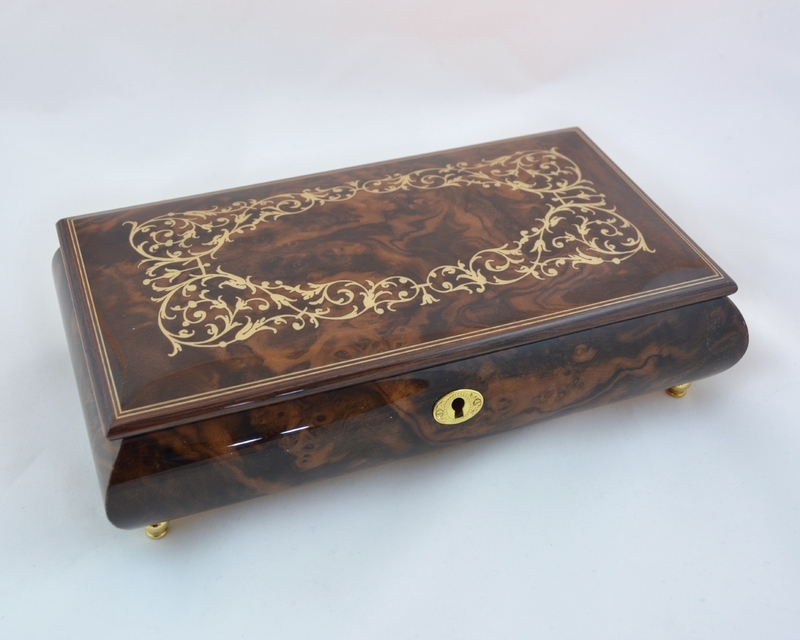 The magnificent burls of the wood are used by the artisan to the highest advantage while making this music box. 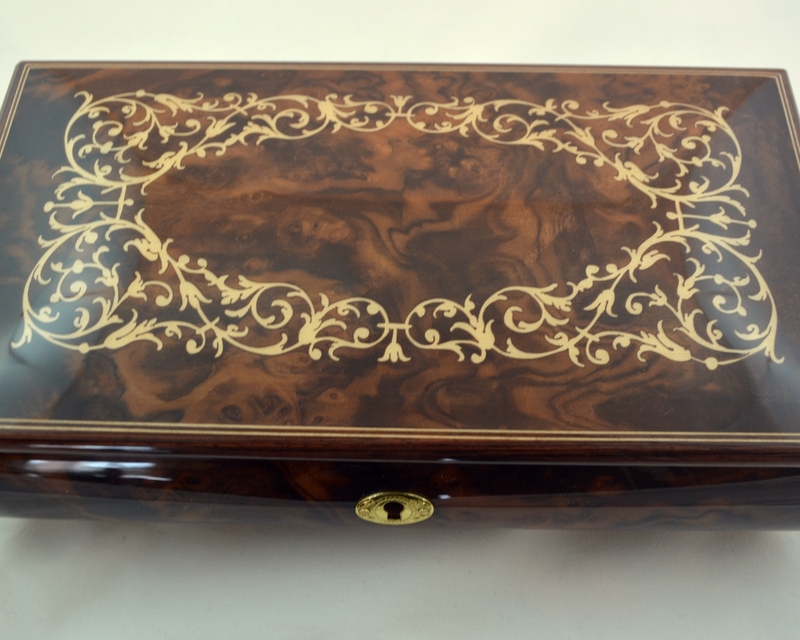 The classical arabesque design inlayed on the lid, combining with the billowing burls, gives this authentic music box an elegance beyond words. 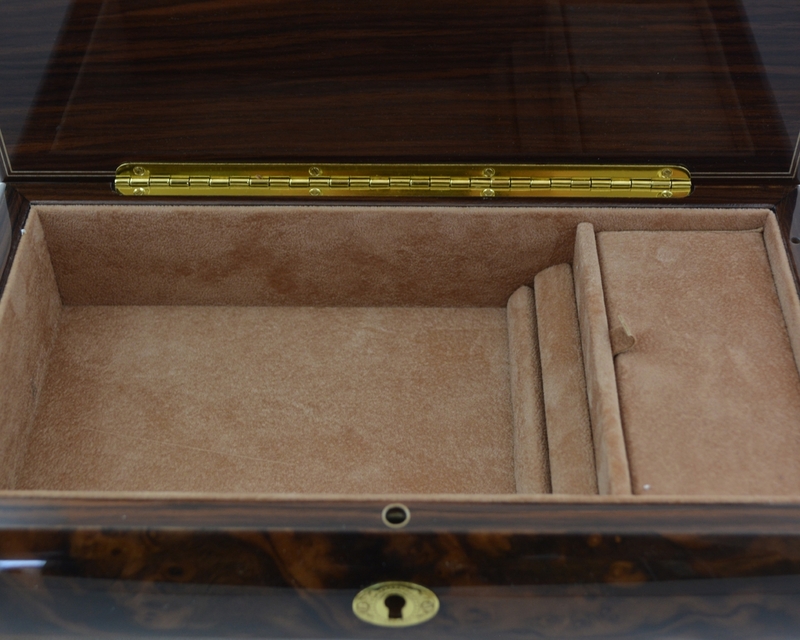 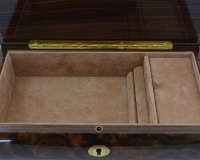 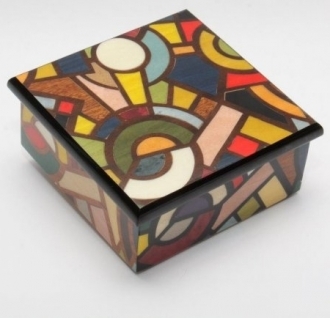 The inside of the box is lined with felt in order to provide a soft housing for your precious jewelry. This is an excellent collectible and gift article. 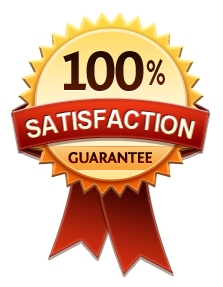 A pleasure to do business with, thank you!